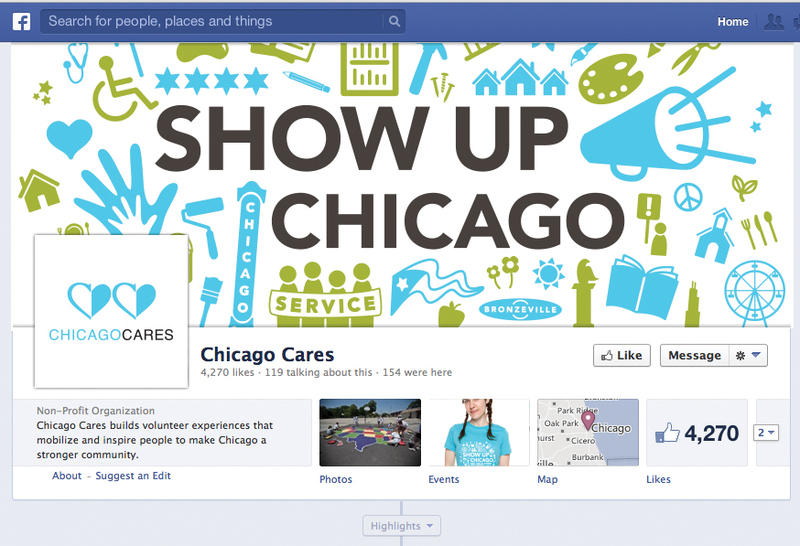 Chicago Cares is a local non-profit that works with communities and organizations to facilitate volunteer opportunities. This campaign was created with Creative Go-Round for Chicago Cares' general ‘13 campaign materials. A versatile icon system was created so it could be configured in a variety of ways for different visuals in unique deliverables. The icons are created for visual consistency and also to showcase the wide range of programs and outreach opportunities that Chicago Cares works with.